The cottages can be found in various counties around the UK and Ireland, with West Glamorgan, Gloucestershire, Denbighshire, Dumfriesshire, Powys, Sutherland, Cambridgeshire and Dyfed all getting a mention. There is one holiday cottage to bring to your attention this week: "Fir Tree Lodge"
Fir Tree Lodge in Groesffordd Marli near Abergele can be found on the North Wales coast. A log cabin on the owner's working farm, Fir Tree Lodge sleeps 4 people. But what makes this something extra special is the private hot tub. 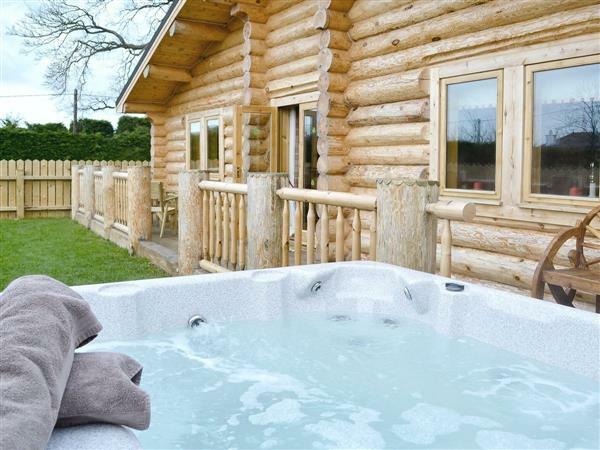 You can spend the day exploring the local area, and the evenings in your hot tub.